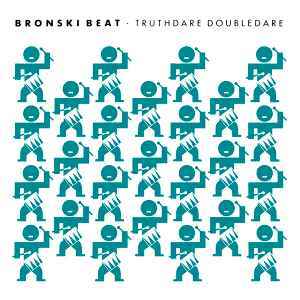 In the annals of british Hi-NRG/synth-pop this is an important entry, by the time of 1986 Bronski Beat was among few bands who continued that legacy, classic tracks are: "Hit That Perfect Beat", "Punishment For Love", "Do It" and "Dr John". Great, great, great! Pity, those times are over. It's worth having the CD mostly for the bonis track: I gave you everything. For me, it's a painfully haunting reminescence of my long-gone past. I was initially less than enamored by Bronski Beat's emergence into the world. In a nutshell, I really HATED Jimmy Somerville's falsetto singing! No matter how I might like the music [what I heard then was not ultra compelling] I didn't want to know. Imagine my surprise when Somerville ditched the band and he was replaced by a singer I could stand. Moreover, the song that cought my ear, "Hit That Perfect Beat" was a super hi-nrg stomper that was breathtaking in its BPM, yet it offered a great synth guitar solo [it sounded like a single sampled plucked string with some sweet pitch bending] that contrasted with the grain of the beat. Excellent! So I got the album and found it to be a varied program of music that mostly succeeded. The other single "C'Mon C'Mon" was a McLaren-eqsue blend of Afro hi-life pop and Appalachian fiddle. Best of all was the crystalline ballad "We Know How It Feels" featuring some great vocal arrangements. The only track here that let me down was "In My Dreams" which sounded far too much like a Howard Jones track for my liking! Overall, a strong album. Too bad this lineup of the group broke up after this.